Quote for Grant: MR scanning will be conducted on a research-dedicated Siemens TIM Trio 3.0 Tesla imaging system (Siemens, Erlangen, Germany) using the standard 12-channel phased-array head coil. T2-weighted turbo spin echo (TSE) can produce very high resolution T2-wieghted images within a reasonable scan time. In T2-TSE images, both fat and water are hyperintense and appear bright. This scan will produce both proton density- (PD) and T2-weighted images within the timing of one scan. Assuming both contrast mechanisms (PD and T2) are desired, this scan is then particularly useful when minimizing scan session length is a priority, while allowing for a reasonably high resolution T2 acquisition (given the same scan time, the PD/T2 weighted scan will not be able to achieve as high of a resolution as the T2 only weighted scan). The T2 fluid attenuated inversion recovery (FLAIR) scan is a T2 scan with an inversion recovery sequence added to suppress the hyperintense CSF signal. 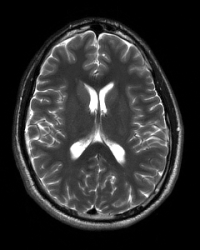 This is particularly useful when imaging structures close to the ventricles (e.g. 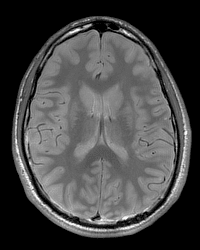 MS lesions). 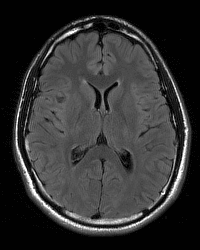 Diffusion weighted imaging (DWI) is sensitive to random molecular movement in a specific direction. 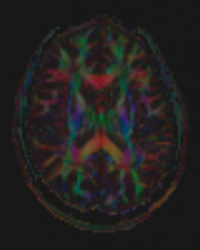 By acquiring many DWI images sensitive to different directions, a 3D picture of diffusion at a particular point in tissue can be created; this is what diffusion tensor imaging (DTI) consists of. 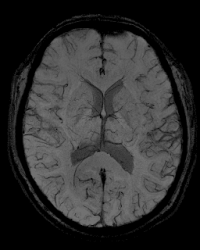 DTI is often used to assess/diagnose acute stroke and to image white matter fibre tracts. Susceptibility weighted images (sometimes called BOLD venographic images) consists of magnitude images that are multiplied by a filter which has been determined from the corresponding phase images. This in part provides contrast to susceptibility effects, particularly venous blood, hemorrhages, and iron storage. 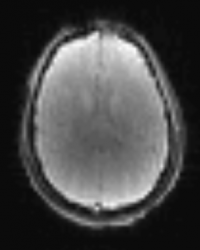 This type of scan is often used to obtain high resolution brain venographies, as well as for traumatic brain injuries. By far the most common sequence for functional MR imaging, BOLD fMRI is sensitive to the blood oxygen level dependent signal which increases with local brain activation, essentially allowing one to localize brain regions activated by specific stimuli. Most BOLD fMRI scans are run using gradient-echo echo planar imaging (GE-EPI) and therefore are particularly sensitive to artifacts in regions of interest typically affected by susceptibility effects (e.g. 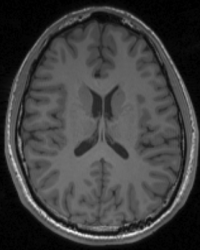 medial orbitofrontal cortex, temporal poles, inferior temporal lobe). Spin-echo EPI is an alternative fMRI sequence that, though it is not as sensitive to the BOLD signal as GE-EPI, is not affected by susceptibility effects making it particularly advantageous when one’s ROI lies in those areas typically affected by susceptibility. Pulsed arterial spin labelling (PASL) functions by magnetically labelling blood with an RF pulse, and then imaging the brain once this blood has perfused into it. 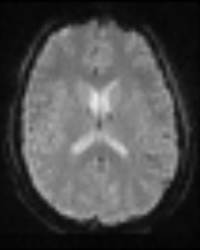 Labelled and control images (images for which labelling has not occurred) are continuously taken on after the other for the requested amount of time; the subtraction of label and control images then provides a signal which is proportional to cerebral blood flow (CBF). To obtain quantitative CBF values, a short (~1min) calibration scan must also be carried out. This dual echo scan acquires both pseudo-continuous ASL, as well as BOLD images within the same TR (the TR will generally be longer than a standard BOLD sequence so as to accommodate both image types). It should be noted that due to the magnetic labelling of the ASL component, the BOLD images require a few extra steps in the pre-processing before being analyzed to localize activation. This sequence is particularly useful if simultaneous CBF/BOLD measurements are of interest, or if minimizing scan time is a priority (i.e. running one DE-pCASL scan instead of a separate ASL and BOLD scans). If you have questions please contact Jacob Matthews.